Coversure is a specialist Australian underwriting agency, established to provide insurance solutions to Australian brokers across a range of niche industries. Coversure has developed its liability underwriting expertise to provide underwriting solutions to a broad base of occupations where we are able to demonstrate out underwriting skills to look for underwriting solutions. We endeavour to deliver competitively priced, reliable and appropriate insurance solutions providing a real advantage to our insurance broker clients. 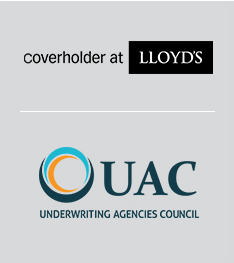 Many of our policies are underwritten by Lloyd's of London, the world's leading specialist insurance market while we also retain facilities to place business with Australian based Insurers. We offer you our underwriting expertise - our policies have been developed by underwriters with long-term experience and a clear understanding that every client is unique. Coversure distributes its products exclusively through insurance brokers who hold a Australian Financial Services Licence issued by ASIC. If you are an insurance broker please contact Coversure for more details on how to transact insurance placements with us. If you are not an insurance broker and are interested in Coversure products please contact your insurance broker for more details on your products and their suitability to your circumstances. If you do not have an insurance broker you can locate details of a specialist or local insurance brokers at www.needabroker.com.au. Our products are all designed to meet the needs of your client's particular industry. Each submission we receive is reviewed and underwritten by a professional underwriter. We use the services of Australian based claims settlement professionals and legal advisors who offer a high level of claims service and technical expertise for your peace of mind. Coversure is has demonstrated a track record of delivering unique claims management solutions to enable its clients to reach equitable claims solutions quickly and efficiently.